Just recently, Zalora have approved my application and they want to give all my blog readers a 15% discount through using the code they’ve provided me. It’s the BER month, and it’s a great timing for everyone here to go shop online and get the most wanted fashion needs. I actually got a couple of things from Zalora.com.ph like for my boots, scarf, and pair of sunglasses. I love their delivery service, they have their own delivery service to make sure that the items you’ve ordered from them will arrive and are prioritize. So, what are you waiting for? Use the discount code below and get 15% on any of your items that you buy on Zalora! Go and hover your mouse to MY BAG (highlighted below, boxed with green), then go ahead and click VIEW BAG. It should then take you to the list of items in your bag that you wish to buy. Then use the code above at the "Apply promo code or gift card" area, just like how it's shown below. Then paste the code provided and you should get 15% off. 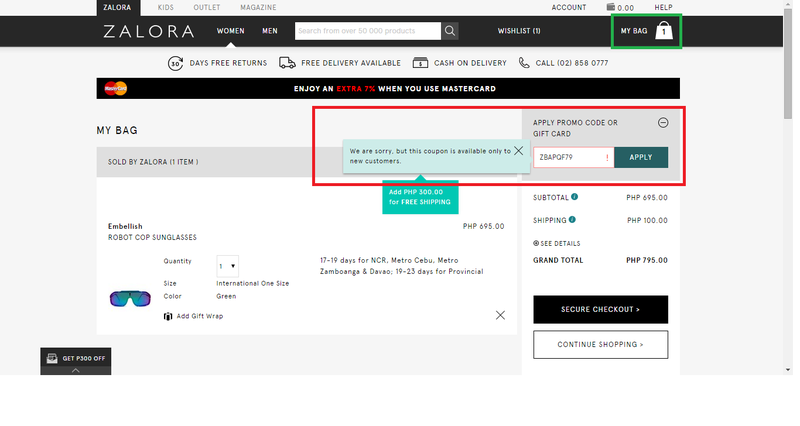 And yes, the code only works for NEW CUSTOMERS, so if you already have an existing one at Zalora, then this code won't apply. But just like me, you can ask someone else to register (preferably a family member) and create a new account, then you can all shop online together, since 900+ above (total) are FREE SHIPPING. So yeah, save P100 too! Here's a proof that the code works! It should've been P1,598.75 but with the code provided, the buyer gets to save P239.81! Awesome right? 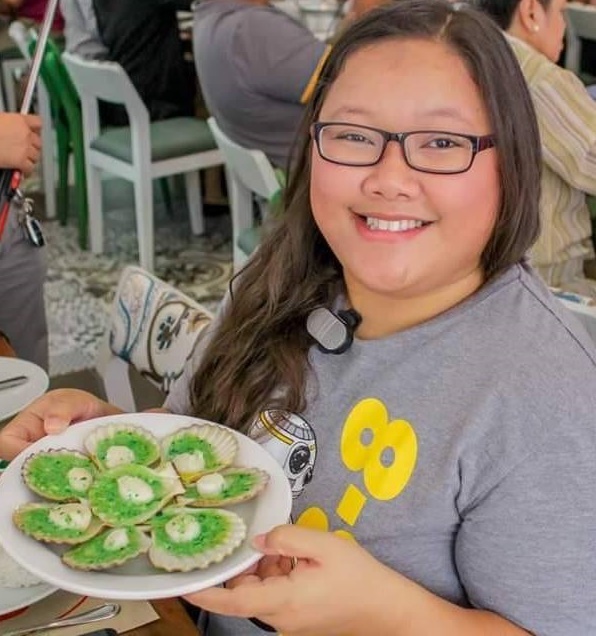 I’ll be sharing more about them starting today (obviously) and maybe share with you guys some items I got from them – sadly, I left one of the sunglasses at Coron Palawan. Huhu…. If you have any questions about this please let me know and I’ll try my best to answer it for you.